Happy Easter! Welcome to the April issue of the EastOrlando.com e-newsletter! The purpose of this e-newsletter is to be your guide to online resources in East Orlando, and to provide current and future residents of East Orlando the latest news and event information. We hope the information is useful and that you recommend this service to your friends, neighbors and associates. They can sign up and receive their own copy by registering at http://www.EastOrlando.com. Please send you news items and event information to News@EastOrlando.com. Finally, please provide us your comments and suggestions so that we might service you better. 1. The Orange County Neighborhood Services division is hosting the educational Community Connections Workshop Series. Click here for the current schedule (File Format: Adobe Acrobat). For more information, visit http://www.orangecountyfl.net/dept/CEsrvcs/neighbor/CCWorkshops.htm. 2. 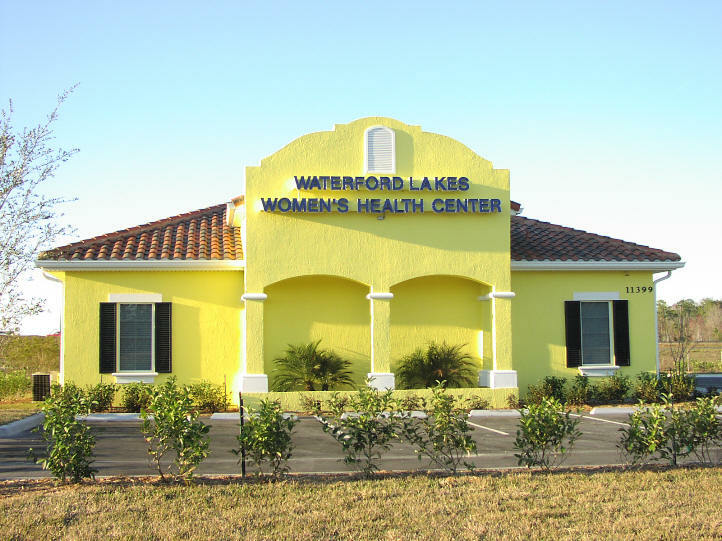 East Orlando welcomes Atlanta Bread (1) and the Waterford Lakes Women's Health Center (2). International Corporate Park (3) was recently bought by Avalon Park. Plans are in the works for this development to create high tech jobs in East Orlando. 3. Print edition of the East Orlando newspaper and online menus are coming soon! 1. East Orlando welcomes the Alafaya Corporate Center. Among its other residents is the University of Phoenix. 1. East Orlando Chamber of Commerce Luncheon. Date: April 16, 2003 (Wednesday), from 11:30 AM - 1:00 PM. Speaker: Greg Efta, Performance Innovations. Location: Holiday Inn Select, 12125 High Tech Ave, Orlando, Florida, 32817. For more information, visit (http://www.eocc.org). 2. East Orlando Chamber of Commerce Business After Hours. Date: April 17, 2003 (Thursday), from 5:30 PM - 7:30 PM. Location: Sprint PCS, Waterford Lakes Town Center, Orlando, Florida. For more information, visit (http://www.eocc.org). 3. Homeland Security Town Hall Meeting. Date: April 21, 2003, from 7-8 PM. Location: Radisson Hotel, Alafaya Trail, Orlando, Florida, 32804. For more information, visit (http://www.eocc.org). 1. Simulation Interoperability Standards Organization (SISO) Simulation Interoperability Workshop (SIW) Conference. Dates: March 30 - April 4, 2003. Location: Hyatt Orlando Hotel. For more information, visit (http://www.sisostds.org). 2. Advanced Simulation Technologies Conference (ASTC 2003). Dates: March 30 - April 4, 2003. Location: Hyatt Orlando Hotel. For more information, visit (http://www.scs.org). 3. 2003 E-Business Symposium: Competing in a Digital Economy. Date: April 4, 2003. Location: Walt Disney World Contemporary Resort, Lake Buena Vista, Florida. For more information, visit (http://www.ebusinesssymposium.net). 4. Aerosense 2003. Dates: April 21-25, 2003. Location: Gaylord Palms Resort and Convention Center, Orlando, Florida. For more information, visit (http://www.spie.org/conferences/Calls/03/or/). Home Buyers - Come search the Multiple Listing Service (MLS) database of existing homes for sale throughout the State of Florida: http://fl.living.net/idxfirm/1014003. A great location! 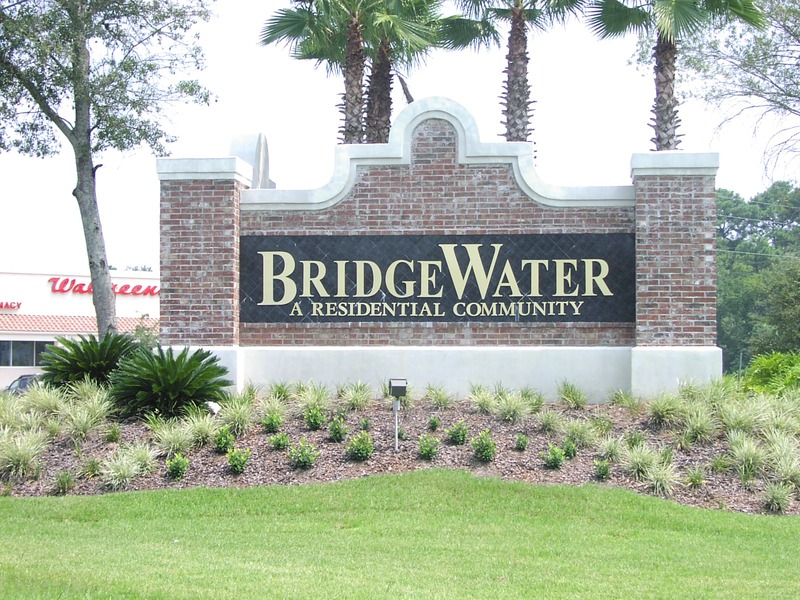 The BridgeWater community is within minutes the Waterford Lakes Town Center, the University of Central Florida and the East-West Expressway (SR 408). Click here for more information about the BridgeWater community. East Orlando welcomes its newest dining option: Atlanta Bread. 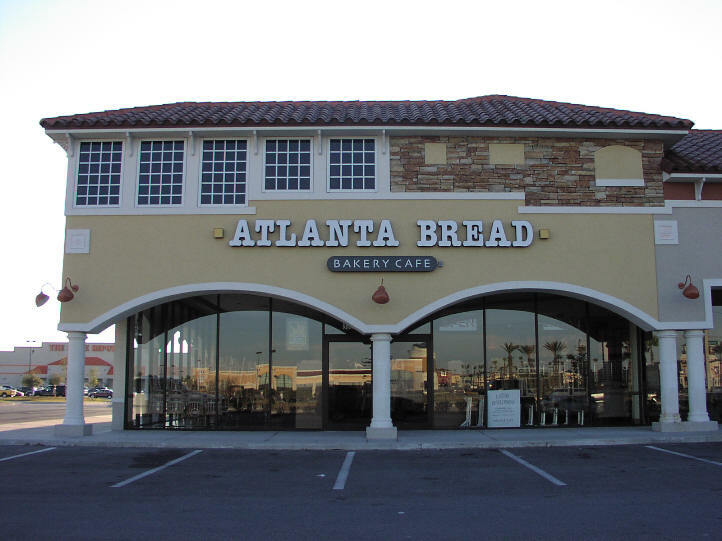 Atlanta Bread is located in front of Home Depot across the street from the Waterford Lakes Town Center. Please show your support and visit this fine dining establishment. For a listing of other East Orlando restaurants, please click here. The featured local organization of the month is MOMS Club of Oviedo. They are an international, non-profit organization founded to support stay-at-home and part-time working moms. They offer exciting activities year-round, including playgroups, park days, outings, parties, monthly meetings with speakers, craft days, Mom's Night Out and more! For more information, visit their web site at www.geocities.com/oviedomomsclub.